After lunch today I needed to get out and take in a whole lot of fresh air. Next thing was where would I go. 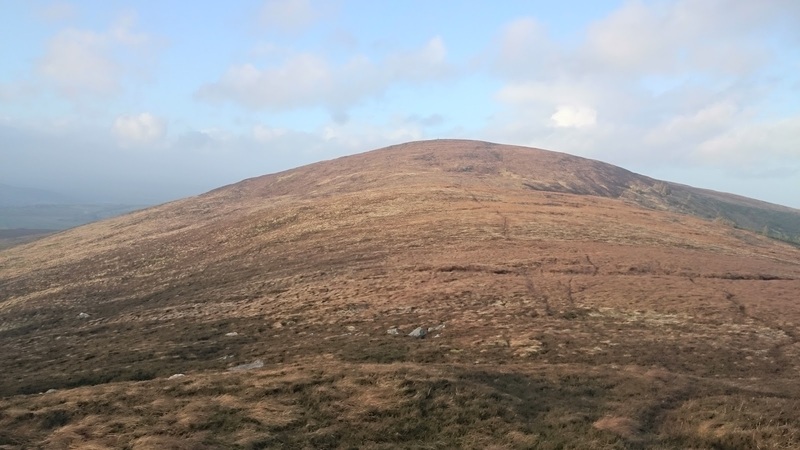 Had done Clara in Millstreet and Mout Hillary near Banteer and needed more than The Island Wood. Mushera came in to my head. Next thing was, how wet was this route. Only one thing for it ! Had to check it out. The Half Loop -- This once you cross the stile you head across country for the peak furthest to the right, one thing about this there is no defined path but just head straight for the peak furthest to the right. The first few hundred yards can be a bit mucky but after that today I found it okay. for January !! The Full Loop --Today I decided after checking my watch and the fact the weather was good I said I would do the Full Loop. Today once I got to the peak I found it quite windy, the view was as good as ever. To the South you can see all the way into the Deep South and if you are lucky you can see Inniscarra dam. To the West you get to see a lot of the Kerry Ranges including along the way Clara, Caherbanagh and The Paps. Facing the other way the view stretches to Rochchapel and to your right Galtymore. Ya it is good !! On my way again I head back over my shoulder and head for the real peak passing by the Old St. Johns Well and then up to the peak. Today I got a surprise in that the pathways were a bit wet but not too bad and all you had to do was to walk on the grassy verges and on with you to the top. Here you have a choice you can turn left and go straight back down to the start point, which is the same way if you just wanted to go straight up and down or continue on to do the Full Loop. 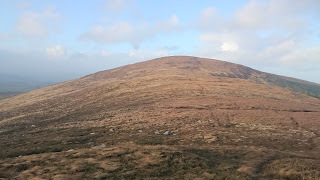 What this means I keep going straight on heading on in the Lyre direction and connecting up with The Duhallow Way. Again going across the top I found it reasonably okay to travel, taking everything into account. 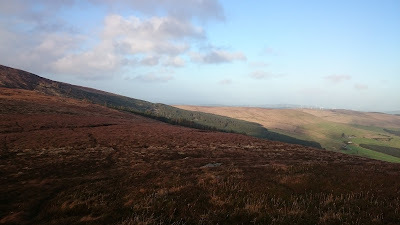 I connected with The Duhallow Way posts at the furthest east part of the Loop and headed for the car again. This part of the journey was where the Winter really told its story in that the pathway was wet and mucky all the way back. The water coming off the Mountain was like a continuous stream all the way, only a small stream but annoying, but just get on with it and back to the car and the finish of my Trek. Summary -- good most of the way considering it is still January but the end of the route is very wet and mucky, nothing to stop one but you are waling in puddles a lot.